Defective Product Manufacturer Claims I Misused Or Modified The Product, What Can I Do? On behalf of Admin of JML Law, A Professional Law Corporation posted in Product Liability on Wednesday, Oct 03 2018. If you are dealing with a manufacturer who isn’t afraid to take responsibility for its own mistakes and negligence, pursuing a product liability claim against that manufacturer will most likely not give you much headache. If you are dealing with an unscrupulous, dishonest, and fraudulent manufacturer, on the other hand, expect the company and its lawyers to go to court kicking and screaming, arguing that the product was either misused or modified. Yep, if this is the case, you are up against the most common affirmative defense mounted by manufacturers in product liability lawsuits. “Your injury is not my problem, the product was misused or modified by the consumer,” manufacturers often claim in courts to avoid liability. More often than not, manufacturers prep their employees to convince you that the product was misused or modified by the consumer the moment you call a product hotline or send the manufacturer a written complaint via email. They know exactly what they are doing. For some manufacturers, the “misuse” or modification defense gets them nowhere. Others, meanwhile, manage to escape liability even in cases where the consumer did not modify the product and used the product as intended or instructed by the manufacturer. 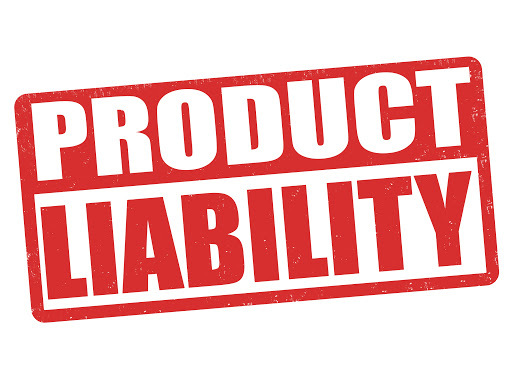 More often than not, manufacturers successfully mount this type of product liability defense when the plaintiff is not represented by a Los Angeles product liability attorney. How to determine that you misused or modified a product? So how do you know that you really misused or modified the product, which caused your injury? In most cases, whether or not you misused or modified the defective product depends on the foreseeability of your alleged misuse or modification. “To determine the foreseeability of misuse of modification, courts consider a wide variety of factors,” says our experienced product liability attorney in Los Angeles at JML Law. First and foremost, the judge will consider whether the alleged misuse of the product was unforeseeable and unreasonable. For example, let’s imagine these two situations: (1) a consumer sustains a head injury while attempting to give himself a haircut with an electric tree trimming tool, and (2) a consumer sustains a back injury when he stood on top of a coffee table that broke under the consumer’s weight. In the first situation, a judge will most likely find the misuse both unforeseeable and unreasonable. In the second situation, on the other hand, the manufacturer will most likely have a hard time proving that that the misuse of the coffee table was “unforeseeable” considering that nowhere in the instruction or warning labels did the manufacturer warn that standing on the coffee table could lead to an injury as the coffee table is capable of holding X pounds of weight. As for the alleged modification of products, the manufacturer is facing a similar burden of proof: to establish that the modification was both unforeseeable and unreasonable. For example, let’s imagine that a consumer decided to replace a safety mechanism that was easy for a user to remove and presented an impediment to the use. In that situation, the injured plaintiff would most likely prevail and recover damages, as the modification of the product was both foreseeable and even reasonable. As always, each situation is unique, which is why it is highly advised to let a Los Angeles product liability attorney look into your particular case to determine whether or not the product was misused or modified, and if this could bar you from recovering damages. Contact JML Law to schedule a free consultation. Call our offices at 818-610-8800 today.